What I would give to just get better! I caught a really bad cold/flu right after Labor Day weekend. I'm sure it was a result of the busy days and nights, but at least I'm glad it didn't develop until after the holiday ended. Now I've succumbed to my bed the last two days and eating nothing but congee and green bean soup. I'm not complaining though, I love those two. 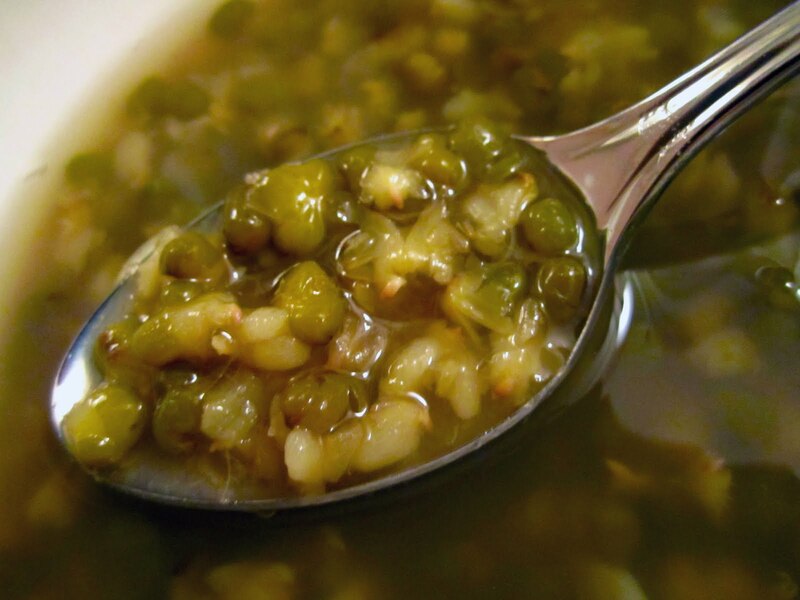 Green bean soup is really tasty and nutritious and is one of those "cooling" foods according to Chinese culture. It dispels internal heat and clears away toxins. So more bowls and bowls to come.